Se Habla Español!Dean Ezaki O.D. We are pleased to welcome you to our office. 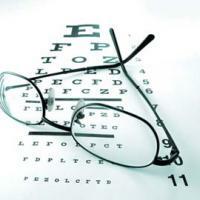 If you’re looking for quality vision care with a personal touch, we hope you’ll give us a call. We look forward to the opportunity of serving your family’s eye care needs. We are conveniently located nearby and would be delighted to have you as a patient. For a full list of services offered, types of payments accepted, insurances we work with and languages spoken as well as facilities and equipment information, click on the service tab above. Please note: Due to some medical reasons our office will be closed Wednesday, April 17th. We will resume regular business hours on Thursday.